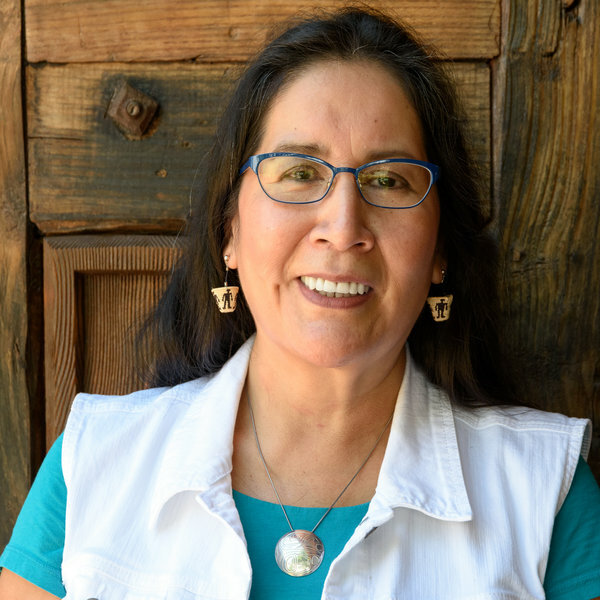 Kathleen Wall learned traditional Pueblo pottery from Fannie Loretto (mother), Dorothy Trujillo, Mary Toya, Edna Coriz and Alma Concha (aunts). She has an AA and a BA degree from the Institute of American Arts. She has participated in many group shows and two solo shows and was the 2000 Southwest Association for Indian Arts Fellowship recipient. In 2006 she received a commission from the Smithsonian Institute to create a storyteller for First Lady Laura Bush to be presented at the Congressional Club ‘First Lady’s Luncheon”. 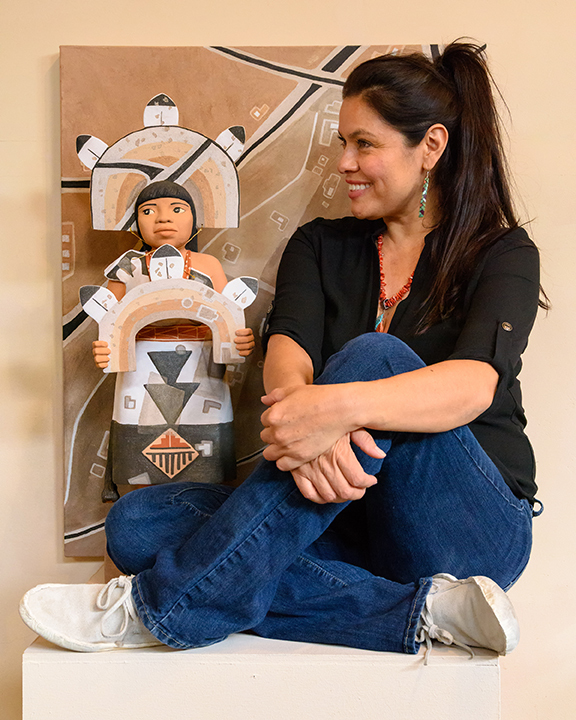 Most recently, Wall received a solo exhibition at the Pablita Museum of Indian Women in the Arts in Santa Fe titled, Harvesting Traditions. Wall will be in residence at SAR from March 1—May 31, 2016. The School of Advanced Research is pleased to welcome Carol Emarthle-Douglas as the 2016 Ronald and Susan Dubin Fellow. An accomplished coil basket-weaver, Emarthle-Douglas was the proud recipient of the Best of Show Award for the 2015 SWAIA Indian Market. Inspired by designs from the Northern Arapaho Plains style beadwork, ledger art and parfleche designs of her mother’s people, she has also incorporated the colors and patterns of Seminole patchwork influenced by her father’s Seminole Nation of Oklahoma heritage. 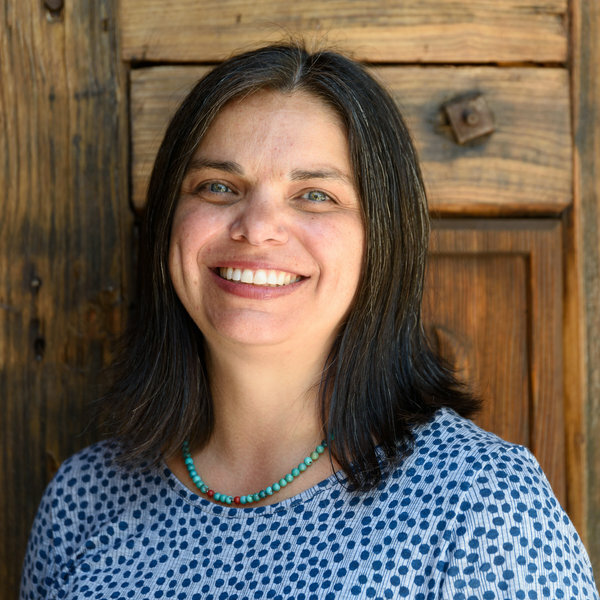 The School for Advanced Research is pleased to announce that Kelli Jo Ford is the 2016 Indigenous Writer-in-Residence Fellow. This fellowship is generously supported by Lannan Foundation. The School for Advanced Research is pleased to welcome Lomayumtewa K. Ishii as the 2016 Rollin and Mary Ella King Native Artist Fellow. A member of the Rabbit-Tobacco clan, Ishii comes from a traditional Hopi family, observing ceremonies, learning the history, songs, kachina dancing, and the symbols and designs of the Hopi World. As a young man, he is expected to begin his obligations to the clan and tribe. 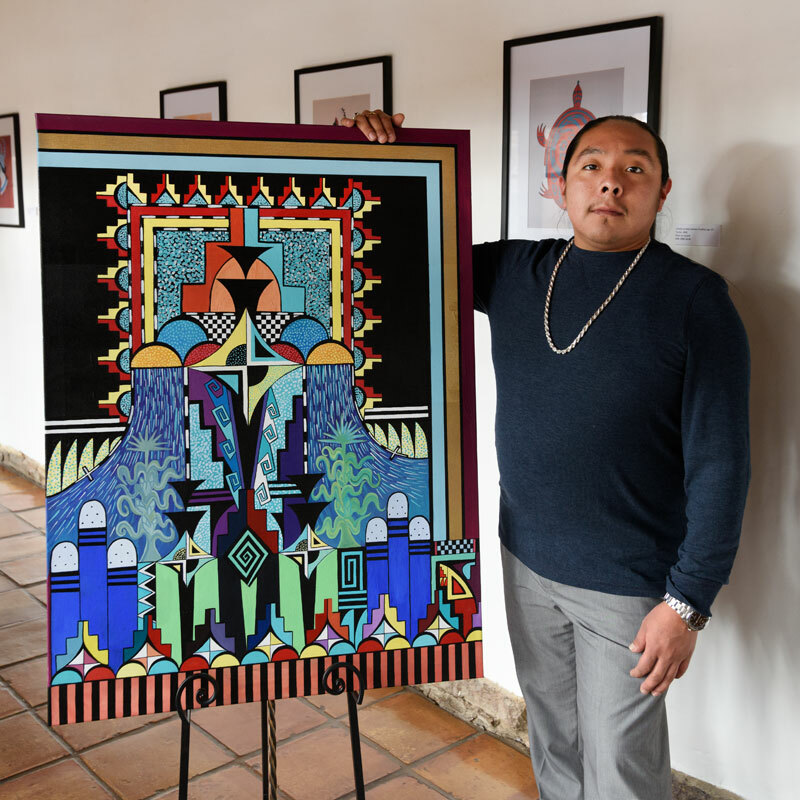 His art is a reflection of this stage of his life, both as a Hopi and a twenty-first century Native American.